The market for private surveillance cameras is large and growing fast, at almost 20% a year. IP camera sales are growing even faster, at 25% annually. Cameras are getting better, with higher resolutions of up to 6 megapixels. In addition to improved technology, new trends affect how video information is gathered: the security industry considers crowdsourcing of video surveillance a major development. 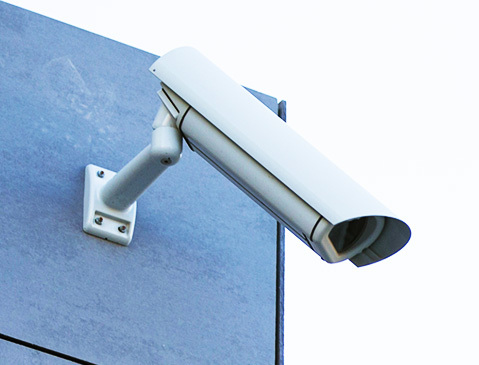 Many communities, from large cities to small towns, decided that setting up a database of private security surveillance cameras is beneficial to the community as a whole and especially the local police. They are capitalizing on the participatory, crowdsourcing effects of such programs. These volunteer programs run under the purview of the local Police Department. Their goal is to create an additional resource to aid the police by connecting them to nearby camera owners after a crime has been committed. Freemont, CA, which started compiling a database of private surveillance cameras in 2012, credits the program with a 20% drop in burglaries. In Union City, NJ, burglary rates fell by 3%, while in Newark – by a whopping 41%. The Safe Cam program was initiated by the Philadelphia Police Department. Тhe city reports that it now has 2,400 registered cameras, which have led to 191 arrests. PubliCam is a tool that supports joint initiatives between the local police and private surveillance camera owners. It maintains a database of external surveillance cameras and displays them visually on a map. 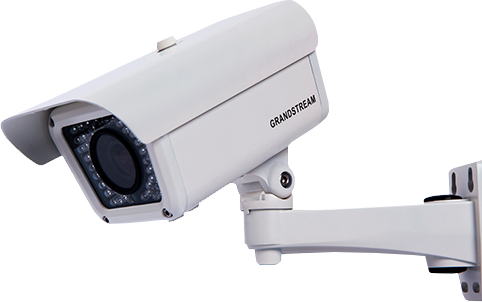 Publicam allows the user (police personnel) to easily identify security cameras in proximity to an incident. Given a distance from the point of the incident, PubliCam will highlight all cameras within that distance. Other relevant camera data will be also displayed. Based on this information, the police can then contact the appropriate camera owners (commercial establishments or private residences) and request copies of the recorded videos. 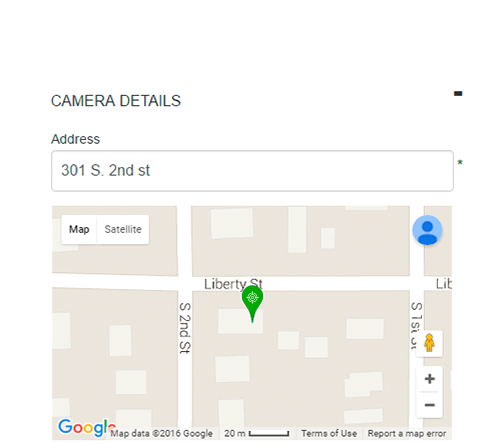 When registering, camera owners can position their cameras on a map with a high degree of accuracy, placing it at an exact spot within the building. This is important, as it allows the police to zoom on the map and determine whether the camera could contain important video information. The camera database is populated by community members who volunteer to participate in the program. As a crowdsourcing application, PubliCam helps the community collect information about security cameras and enhances the local police department’s knowledge about available video resources. PubliCam is explicitly not a live video feed application. If you’re interested in acquiring video access online, please contact us to discuss the options. To request a detailed brochure, please complete this form and we’ll contact you. Thank you for your interest in PubliCam.